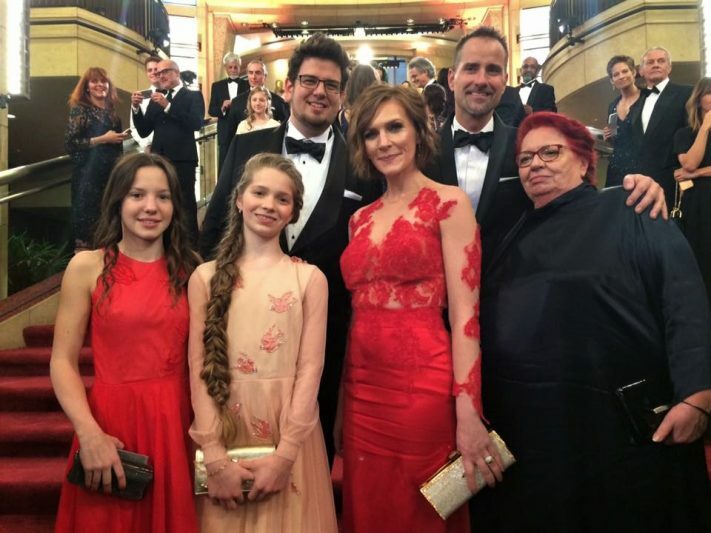 I was in disbelief when my wife, who was watching the Oscars, told me that The American Academy of Motion Picture gave an Oscar to Hungarian short film Sing in the Live Action Short Film category. The 25-minute film was directed by 34-year old Kristóf Deák. It takes place in a Budapest school (Bakáts Téri Ének-Zenei Általános Iskola) in 1991 and was inspired by a true event. The story is about an award-winning school choir, their music teacher and a new girl whose arrival exposes the teacher’s unfair practices. The film’s complex message is about inclusiveness, fairness and the desire to win. The two child-actors, Dorka Gáspárfalvi and Dorottya Hais are superb; the teacher is played brilliantly by Zsófia Szamosi. From left: Dorottya Hais (red dress), Dorka Gáspárfalvi and Zsófia Szamosi, with producer Anna Udvardy. Director Kristóf Deák (with glasses) with music composer Ádám Balázs. As it turns out, Sing has already had international success: the film won the Grand Prix prize at the Short Shorts Film Festival in Tokyo, the People’s Choice Award at the Toronto International Film Festival’s Kids category, and the Adult Jury Prize in the Live-action Short Film category at the Chicago International Children’s Film Festival. I’m a bit puzzled by the title of the English version, the Hungarian title is Mindenki which means Everybody. This is a tremendous success for the filmmakers and Hungarian Film. Congratulations! 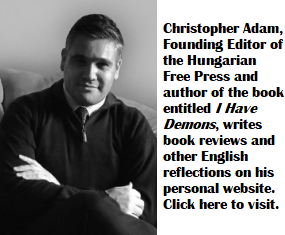 The Hungarian version of the film is available on YouTube. Now if only the Orbán’s regime would show some inclusiveness, honesty and openness – perhaps it could also earn some kudos instead of scorn from the international community.